The sensitive interpretation of an historic site across multiple levels produces an award-winning open space. Bunya Estate is a new residential development by Landcom located near Doonside, NSW. The Estate is situated on the original site of the Bungarribee Homestead complex. Landcom’s initial landscape design brief was to create several zones providing passive and active recreational space across a 30,000m2 area. 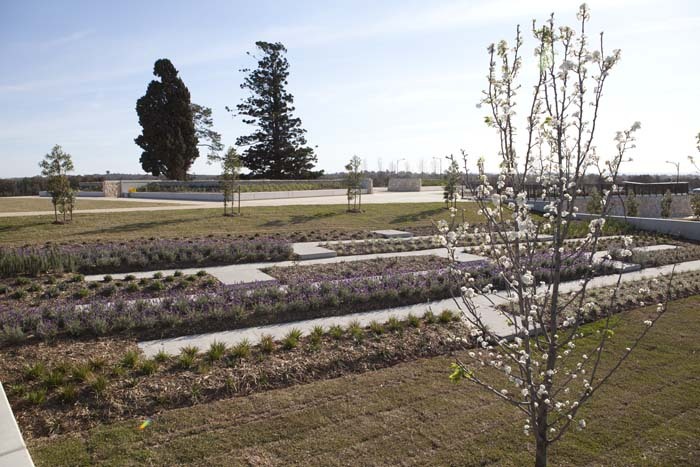 Design Landscapes Pty Ltd undertook the construction of the works which honours the site’s historic significance. 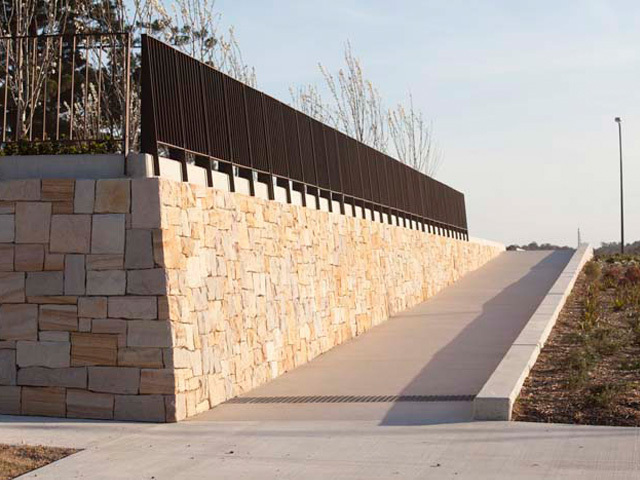 The project won Design Landscapes the prestigious Landscape NSW & ACT (LNA) 2012 Excellence in Landscape Construction Award – Open Space category and the 2012 Landscape Construction of the Year Award. The broad acre site is designed over many levels – each with its own personality and design challenges. The Homestead’s footprint, together with the original mature pine trees, holds an elevated position overlooking the western end of the park. Prior to construction, an archaeological dig was undertaken to identify the location of the homestead’s remains. Care was taken to preserve the archaeological elements under a protective layer of sand and filter fabric. Construction included excavation, grading, sub-soil drainage, soil amelioration, irrigation, planting and turfing, paving, stairs, handrails, balustrades, lighting and the installation of playground equipment. Plant selection and placement pays tribute to the area’s historic past by using ornamental fruit trees in the ‘orchard’ and lavender in the interpretative kitchen garden. The works also include landmark-sized retaining walls ranging in height up to 4.5m with runs up to 50m in length. They are constructed as Class 2 off-form in-situ concrete structures with sandstone facing. The large retaining walls were formed and poured to full height in one lift in a hit and miss configuration. Sandstone was imported to the site, hand split and roughly squared before installation. The sandstone was then dry jointed and wet fixed to the concrete walls with a rustic finish to reflect the site’s heritage. 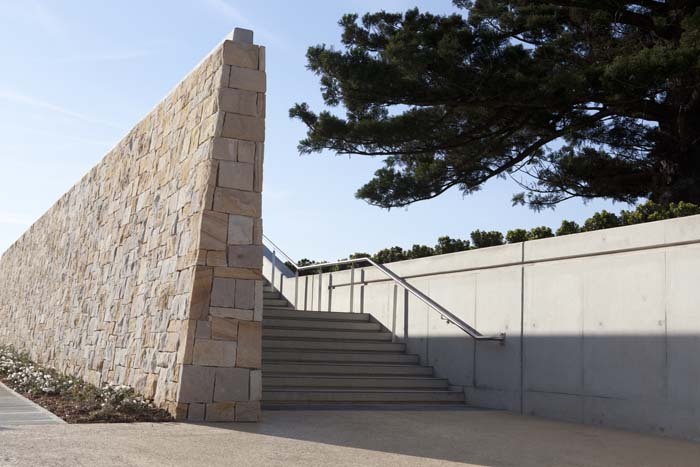 The overall look of the site is an impressive combination of large scale retaining walls and paving, with delicate plantings reflecting the site’s early colonial history.